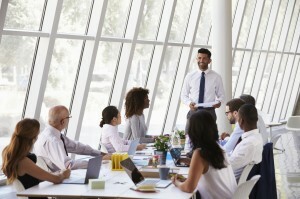 Now more than ever before, businesses and corporations are exploring ways to improve productivity, creativity, and employee morale, and using off-site meeting venues has become one strategy for achieving these goals. Many businesses are more conscious of how their work environment impacts their success. They understand that part of attracting the best talent and retaining valued employees is creating a workplace that minimizes stress, fosters performance, and improves employee satisfaction. In fact, some research has shown that these factors can be more valued than raises, salary increases, and other typical incentives. Off-site meetings are one of the methods that employers are using to create a better work environment and appeal to their workforce. What are Off-Site Meetings or Conferences? For many workplaces, monotony can be one of the big challenges affecting the workforce. Going through the same routine, Monday to Friday, can be tiring, boring, or irritating, even for the most engaged of employees. Humans crave diversity in their day-to-day life, but the demands of business don’t always make that quite possible. While some employers might expect their staff to simply deal with this, the truth is that performance actually suffers when employees are not engaged or satisfied. This is why major companies like Google, Apple, and Facebook place such an importance on workplace amenities, new workplace concepts, and perks for employees. Off-site meetings are when a company holds a meeting at off-site venues, moving out of the office for a day and holding their meeting in a new space. While this may seem like a pretty simple or even counterintuitive thing to do, it can actually have major benefits for businesses. There are some major benefits to using off-site meeting venues for your company’s next meeting. It’s important to break up routines to combat boredom or stress in the office. Moving out of the office for a day or two is the easiest way to shake up your office’s typical routine without impacting work or deadlines. Getting your staff out of the workplace can be a great change of scenery and can make a regular meeting feel more like a day-trip. When you use corporate meeting venues for your next meeting, you can actually increase productivity. Removing employees from distractions, such as their email or a noisy office environment, can help them focus more at the tasks at hand. As well, when you break employees out of their usual routine by using off-site meeting venues, they will be more focused and engaged. When it comes to any type of work that involves creativity, off-site meetings can be an effective way to prompt new ideas, perspectives, and solutions. Routine is a creativity killer. When you get out of the office and change things up a bit, you can encourage new perspectives and points of view. Most spaces for off-site meetings feature a range of amenities, industry technology, and services that can ensure more professional presentations, meetings, and sessions. If you need to access a larger space to accommodate all of your staff, then an office meeting space rental can provide the required size. If you want access to a professional space with projectors, audio-video conferencing systems, and digital screens, meeting room rentals can help you put on a more polished presentation. If you’re looking for a meeting space venue that can exceed the needs of your business, Innovative Professional Offices has a range of suites for a variety of professional needs. Our professionally furnished meeting room rentals come with cutting-edge technology (projectors, audio-video conferencing, whiteboards, displays) and professional services, including receptionists and IT staff. We offer flexible schedules and affordable rates. If you want to enhance your presentations, seminars, or regular meetings, then one of our meeting room rentals can be the right choice for you. If you’re looking for a seminar room for your business, Innovative Professional Offices offers fully-furnished seminar rentals, along with coworking spaces and virtual offices, in Ottawa, Brampton, and Mississauga.